Does Wearing a Specially Designed Tech Suit Give You a Competitive Advantage? Technical swimsuits can be a useful tool in swimming your best. If you’ve browsed through the selection of competitive swimwear, you may have noticed there are many kinds of suits from which you can choose. Some of the most popular types today are the technical swimsuits, particularly the Arena kneeskin; however, many swimmers wonder if these technical suits can really provide the improved performance their creators claim. The answers to these questions may help you choose the right swimwear for your best performance in the water. Swimmers are already in great shape due to their hours of dedicated workouts in the water and in the gym; however, there are likely still areas of the body that aren’t conducive to hydrodynamics. Technical swimsuits are designed to help with these areas and provide the appropriate compression to help you move through the water more easily. 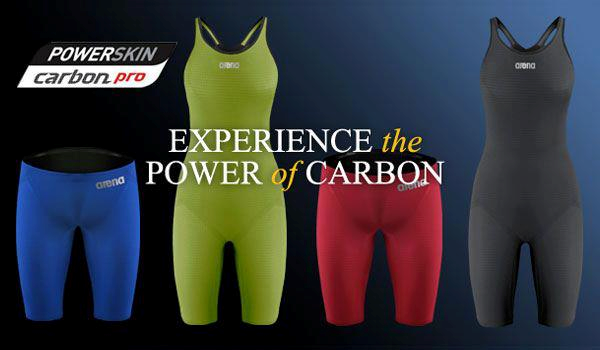 Compression will help you obtain the right body shape to enhance your performance. The idea of compressing your body may sound uncomfortable, but the way the Arena swimwear is designed, you will enjoy the optimal comfort from your racing swimsuit. These suits are created with a seamless design, providing a smooth fit that is comfortable for all stroke types. When you are performing any stroke, you want a suit that will stay in place and won’t feel restrictive. With the Arena kneeskin suits, you can enjoy all of these benefits from one suit. While these swimsuits provide better hydrodynamics and help your body move more effectively through the water, the technical swimsuits aren’t solely responsible for improved performance. Coaches and the training techniques they utilize, as well as the hard work of the swimmer, are also responsible for decreased race times and the number of swim records that are broken regularly. Arena swimwear can take partial credit, but swimmers must still use the appropriate techniques and train hard if they want to be successful. Every year, the top names in swimwear come up with new competition swimsuits designed to help swimmers optimize their performance. The regulating organizations in the swimming field make sure these swimsuits aren’t creating an unfair advantage; however, the Arena swimwear has been found to provide the ultimate in swimming conditions without altering the natural talents of the swimmers. This makes these technical swimsuits highly desirable among the top swimmers. If you are looking for the best technical swimsuits to aid in your performance, contact us. Our Dallas swim shop carries everything you need to maximize your training and become a more effective swimmer. Ask your child’s coach what swimming brands they prefer. Mapping the Mission – Coaches will typically outline what needs to be accomplished at the start of the season. The parent should follow this course. Reviewing Progress – Parents and coaches can assess development each season or at dedicated intervals. By studying progress, improvements can be made in weak areas and reinforcements can be made for strengths. Agreeing to Disagree – In every relationship, including those between parents and coaches, there will be differences. By setting the tone early to focus on goals throughout disputes, parents, coaches and especially children will get along better. Getting the Right Equipment – The right gear, including swim team accessories, safety gear, warmup tools and other items, means being well-equipped to do the job in comfort and style. Prioritize the Rights of Children – Parents and coaches should agree tokeep the child’s best interest at heart, including listening to their likes and dislikes. The most important decision is to determine if the athlete really does want to play the sport before commencing practice. Review Options – When selections are made in sports, it’s best to outline what responsibilities will need to be met by the athlete. Once this is reviewed, it’s up to the player to decide if this is a sport they want to partake in. Examine Behavior – Parents are essential for determining new and concerning behaviors like anxiety, loss of sleep, etc. because this could point to nervousness or a lack of enthusiasm. Ultimately, it’s up to both the parents and coaches to respect the child’s wishes and/or calm their fears. Do swimming brands matter or should you shop generic? Quality Gear Is Durable – It will last for ages, even throughout the tumbles and shakeups of high-impact sports. Athletes Will Be Comfortable – When players feel relaxed in their clothing, they are proven to play better. Athletes Will Be Confident – One of the greatest aspects of success is confidence, in sports and in everyday life. Nurture this key skill by making athletes look sharp. Popular brands are well known because of their quality. Some of the most commonly known names in the world of swimming include Arena swimwear, Speedo, Colorado Time Systems, Nike, Adidas, Dolfin and hundreds more. Contact us for custom orders, pricing, shipping information and other details. Our Texas swim shop features a variety of sports brands for men, women and children. Shop swim polo shirts, caps, bags, goggles and other accessories at D&J Sports. You have seen it at the Olympics and recently on NBC’s coverage of the Summer Long Course National’s swim meet, now you can buy your very own Arena swimsuit and all of the rest of the Arena swim gear. D&J Sports Swim Shop is one of the select few Arena USA dealers allowed to sell this exclusive brand of swimwear. Arena offers some of the fastest swimsuits and most advanced swim gear in the industry. specially developed for Arena by the Kinetech Lab, delivering perfect compression and gliding. Unique, patented patterns helping the swimmer to get improved postureduring the stroke, while also giving superior fit and comfort. The knowledge developed by the Arena scientific network about surface and form drag reduction.